Lithuania, among the bravest of the former Soviet states surrounding prickly Russia, has poked a finger directly in the Kremlin's eye by buying a shipment of American liquefied natural gas, defying Moscow's energy stranglehold on the region. The shipment Monday could not have been economically advantageous, given that Russian gas supplies are right next door, but Lithuania calculated that the political dividends made it a shrewd deal. Why it matters: The move suggests that, three years after the Russian invasion of Ukraine, the Baltic states remain resolved to putting up a strong front against Moscow. A geopolitical move: In an interview with Reuters, Lithuanian Foreign Minister Linas Linkevicius explicitly described the LNG shipment as part of his country's political calculus. "We want to cement our relationship with the United States in many aspects in addition to defense and security, [and the] energy trade is one of the strategic areas for cooperation," he said. 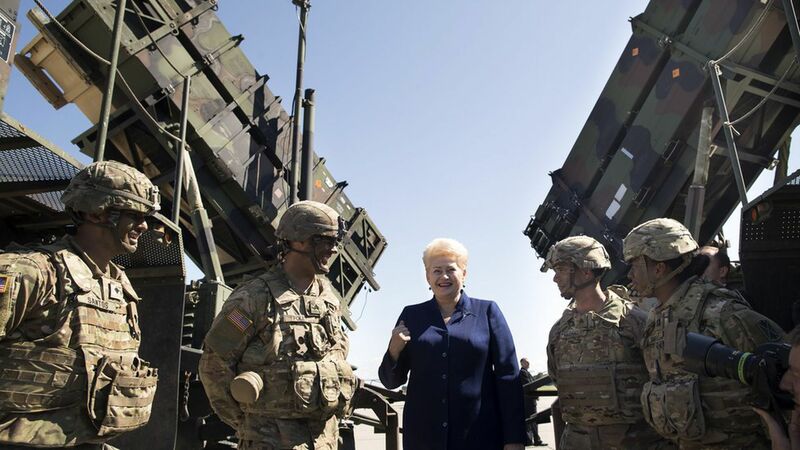 The shipment comes almost exactly a month after NATO military exercises were held just east of the capital of Vilnius, also intended to convey as a message of resolve against Russia. Savoring the moment: On Monday night, a map on marinetraffic.com showed the LNG tanker Clean Ocean still moored at the Lithuanian LNG port, just southwest of Banginis, suggesting no rush to stop aggravating Moscow.